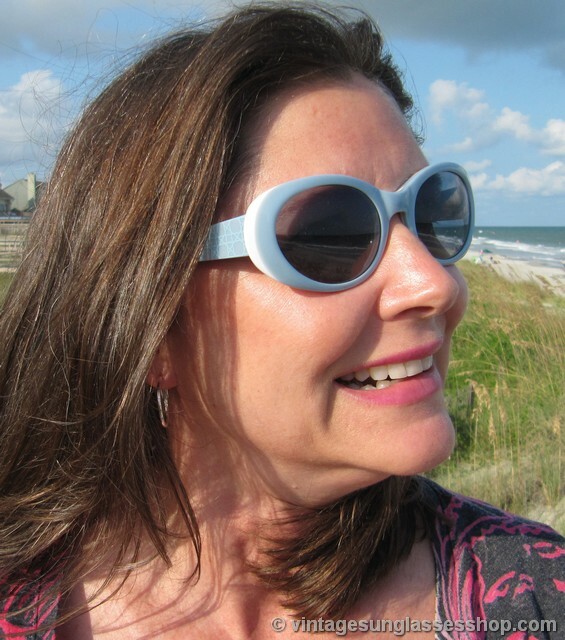 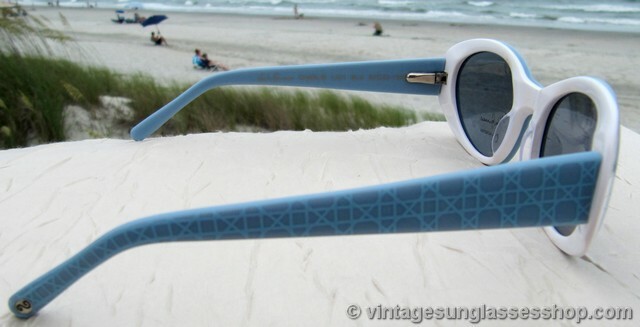 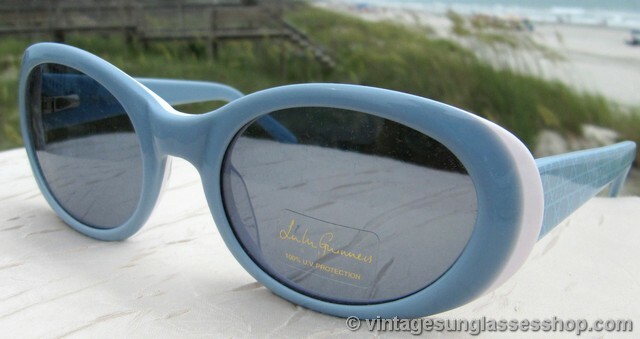 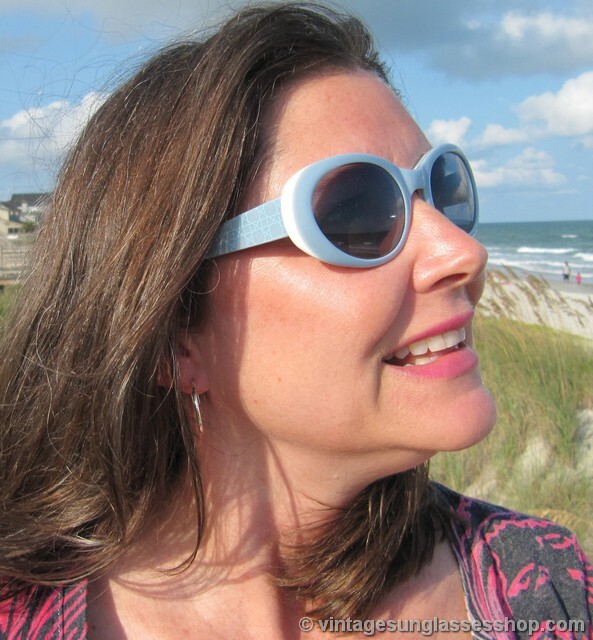 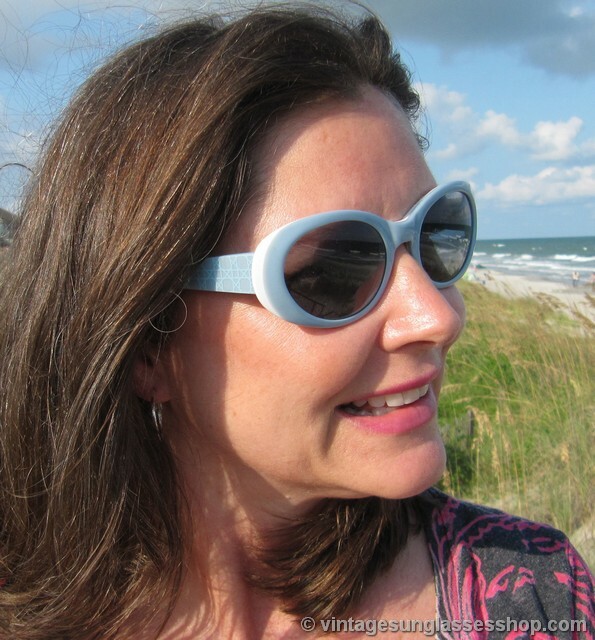 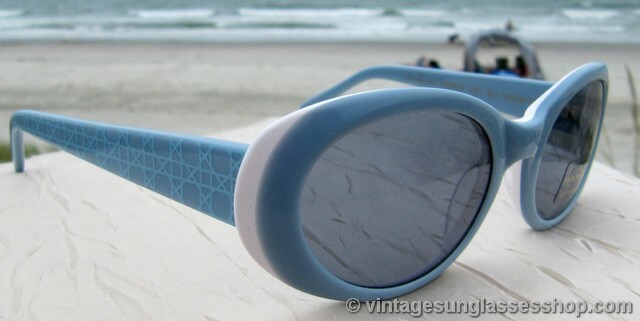 Vintage Lulu Guiness Charlie L421 Blu sunglasses are one of the most distinctive styles produced by Lulu Guiness, now discontinued and never made in very large quantities. 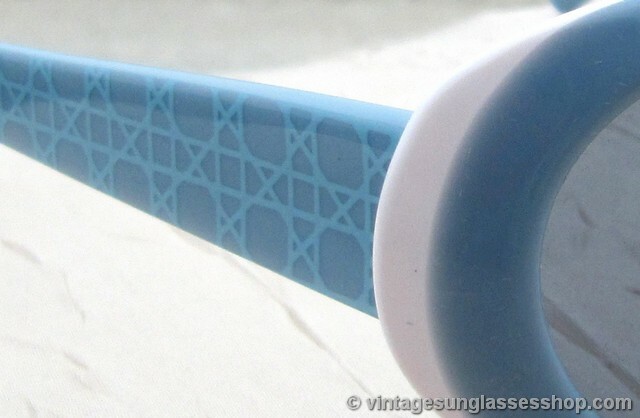 We really like the geometric blue pattern on the Lulu Guiness Charlie you'll find on both ear stems, and baby blue exterior and white interior of the front frame is really striking in its design. 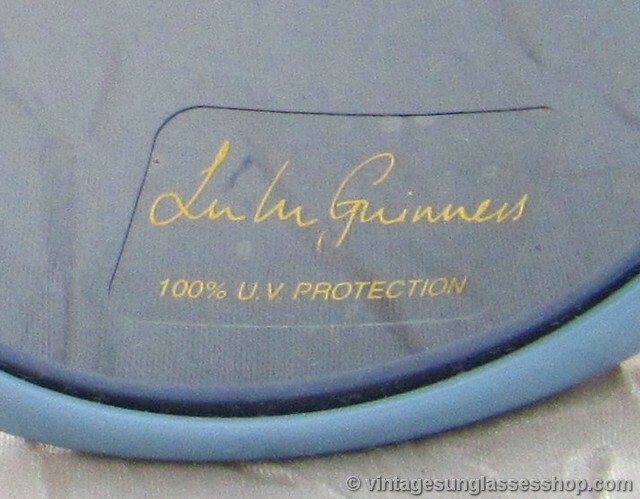 The inside of one ear stem is marked Lulu Guiness Charlie L421 Blu 52  20 135 while the inside of the other stem is marked Be a Glamour Girl. 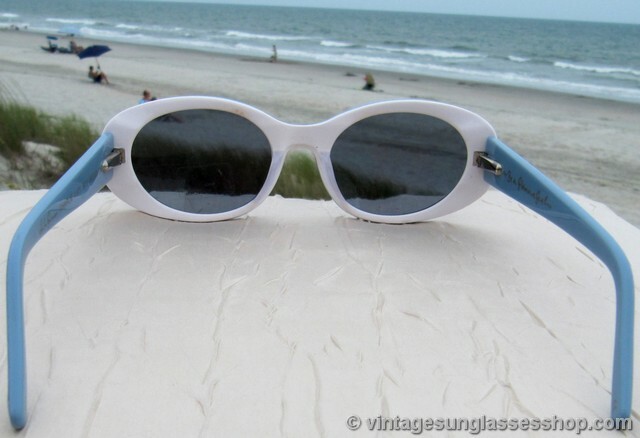 The frame measures approximately 5.375" temple to temple with lenses measuring 2.0" x 1.5" at the widest points, authentic new old stock and part of a Santa Barbara, CA estate collection of fine vintage eyewear.